It’s hard to believe that the election is just days away. I hope that all of you plan to go out and vote on Tuesday, or even do early voting in your local community. Bryan and I will be volunteering with Obama For America all weekend, and at the polls on Tuesday. I can’t wait! 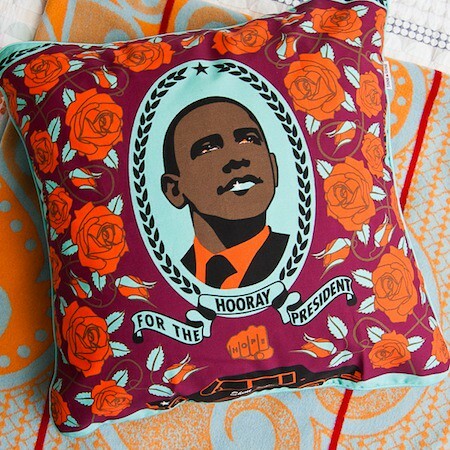 To get you in an electoral mood, I thought I would share some of my favorite products that will help you bring a little political style home, like the SHINE SHINE Obama cushion cover above. Isn’t it gorgeous!? 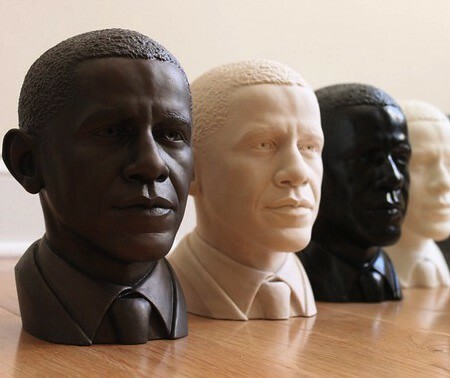 Brooklynite Christopher Genovese has created limited edition Obama busts. They come in a variety of finishes, from glossy black to gold enamel. I’m still trying to find a place in my home for this. I mean, how many times are you going to get a chance to buy a bust of the President? 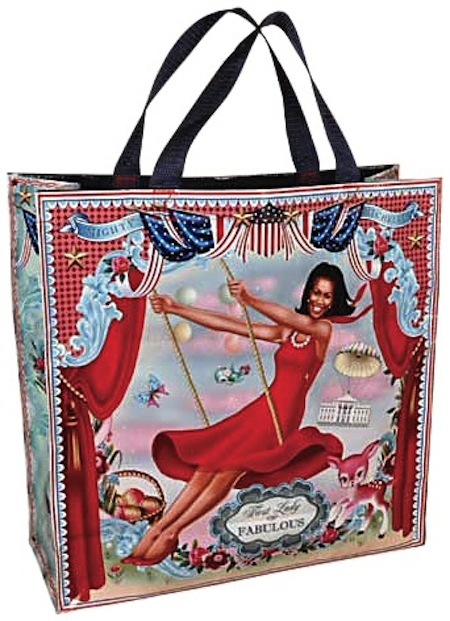 To celebrate the First Lady, how about this First Lady of Fabulous tote bag? I love this happy image of Mrs. O. taking flight in the Nation’s Capitol. 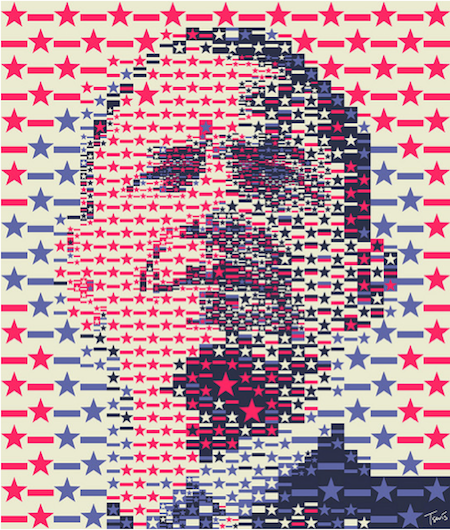 Visual designer Charis Tsevis of Athens Greece creates beautiful mosaics, like this one of President Obama. I love the modern feel of this print. It’s one you can keep up even after the election is over. Don’t forget to rock the vote on November 6th!